I can’t watch spy movies anymore. They’re too unrealistic; and it’s not the explosions, nor the convenient gadgets, nor the protagonist surviving a hail of bullets that un-suspend my disbelief. There’s always that particular scene in almost every espionage movie ever made. That. One. Scene. You know the one: The dashing hero is trapped in a small room by the devious bad guy. Calling upon their ingenuity, our hero removes the air vent cover and crawls into the building’s ventilation system. They slide effortlessly through the comfortably large, completely spotless passageways, with nary a speck of dust or 90-degree bend to be found. They rescue the girl (or guy!) on their way out and save the day, all thanks to those secret, unguarded corridors! Spare me. What’s wrong with this common movie trope? Air ducts! I’ve seen the insides of too many ventilation ducts to take these movies seriously. These are, of course, Hollywood air ducts: never dirty, completely straight, and always the perfect size to fit our protagonist. The ventilation shaft escape is a staple of modern movies, but how would it work in the real world? 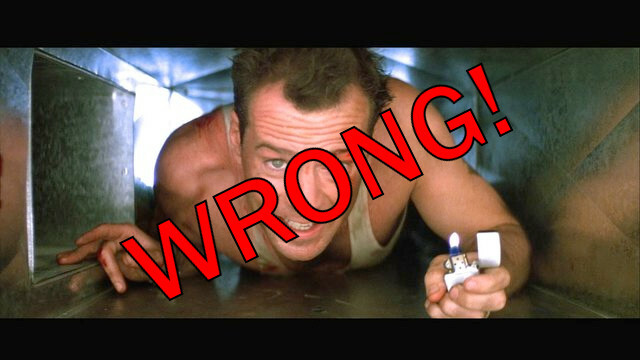 In this non-James Bond world that you and I occupy, air ducts aren’t nearly as exciting and certainly can’t function as an emergency escape route. Since their main function is circulating air, most ventilation ductwork isn’t usually very large at all. Even in the largest buildings, a small child would have difficulty crawling around in there. All apologies to Mr. Bond, but a muscle-bound secret agent simply isn’t going to fit – not easily, anyway. Let’s talk about the conspicuous lack of dirt – another Hollywood inaccuracy. When 007 makes his dramatic exit (because you know it has to be dramatic! ), his tuxedo and/or spy outfit is as clean as when he went in. Unrealistic? You bet! Do me a favor – go to the nearest air register and remove the cover. What’s it look like in there? Shine a flashlight if you need to. Would you want to crawl around in something like that? 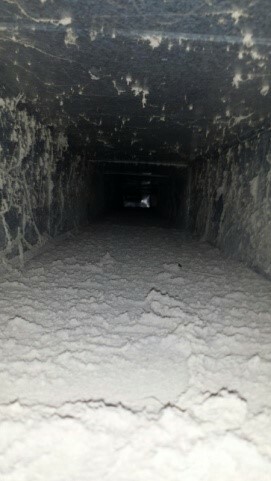 Unless you’ve had a Modernistic air duct cleaning, the dirt and dust and debris would be terrible for your clothes, hair, etc. Not good for your suave, secret agent image! The damsel in distress would laugh you right out of her holding cell. Of course, these obstacles aren’t enough for some people. Movies are real life! Anything Bond can do I can do better! There have been more than a few attempts by wannabe 007s to use the air vents to sneak into high-level institutions (such as pizzerias and laundromats). As you can imagine, these incredibly amateur spies got dirty, got stuck, and got thrown in jail for their trouble. That’s not to say the air vent escape has never worked! The exception that proves the rule is the infamous 1962 Alcatraz escape. In a caper that involved papier-mâché heads, secret corridors, a makeshift raft, and some chiseled-out air vents, 3 inmates pulled off the only successful escape from America’s most notorious island prison. To this day, the 3 fugitives remain at large; all thanks to ductwork! PLEASE NOTE: if you are currently reading this from prison, DO NOT TRY THIS AT HOME. The people who planned your building already know about air vents and have taken steps to prevent you from doing this exact thing. DON’T DO IT! Hollywood got it wrong. Again. 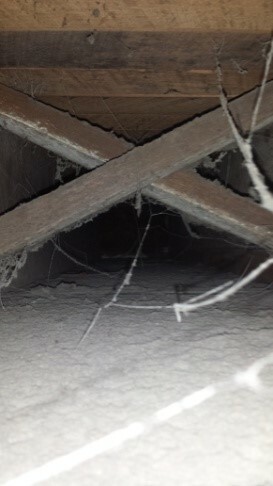 Air ducts aren’t a viable escape/infiltration route anywhere, for a variety of reasons. At the very least, movies with scenes that feature crawling around in dirty air ducts should come with a warning: Don’t try this at home. Modernistic has been keeping Michigan air ducts spotless since 1973! If you want to breathe easy, contact us today!